A growing number of churches around Melbourne are offering workshops and seminars to help the faithful learn more about Orthodoxy in a creative way. Below are two workshops currently taking place in the lead-up to Easter. The creation of altar bread is fraught with symbolism. Baked by somebody in the congregation, it is offered to the priest for each celebration of the Divine Liturgy. The tradition was once a communal affair as women would get together to make the bread with their families, however modern-day living and the rise of Uber eats is making it hard for people to make a sandwich for themselves let alone an offering of faith. St Nicholas Greek School at Yarraville however hopes that their prosforo-workshop will inspire people to return to their roots – and faith. It is part of an educational cultural series. Participants will learn how to make and bake a prosforo to be used in church for Holy Communion, and they will also learn about the importance of the bread and history involved in the creation of the prosforo. The event is open to people of all ages. Refreshment, tea, coffee and light finger food will be offered. The workshop takes place from 6.30-8.30pm on Thursday, 18 April. 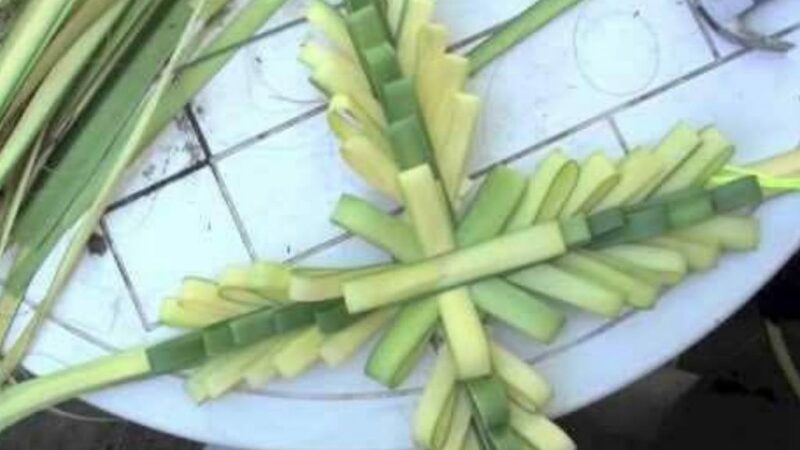 Do you remember going to church on Palm Sunday and getting those crosses? And you’d play with them and fight with your siblings over who got the best one? The Greek Orthodox Parish & Community of Saints Anargiri in Oakleigh is killing two birds with one stone. Firstly, it is hosting a workshop to teach people how to weave these masterpieces of faith. Secondly, it is using the creations made to decorate the church in time for Palm Sunday on 21 April. Not only do participants in the workshop make the crosses, but they also learn more about the traditions of Palm Sunday. The workshop takes place at noon on Saturday 20 April.